Fall brings two important things into my life; gorgeous colors and football. I don’t know why football can’t last as long as baseball season. And I don’t know why the beautiful color of fall leaves has to mean barren trees are right around the corner. Well, okay … I do know why trees become dormant and why football players can’t as many games as baseball players. But that doesn’t mean I have to like it. 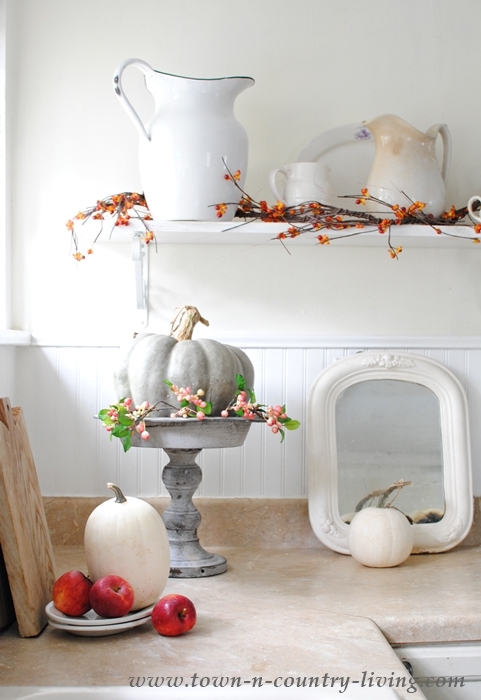 What I do like however, is a bit of simple fall decorating that doesn’t become overwhelming. 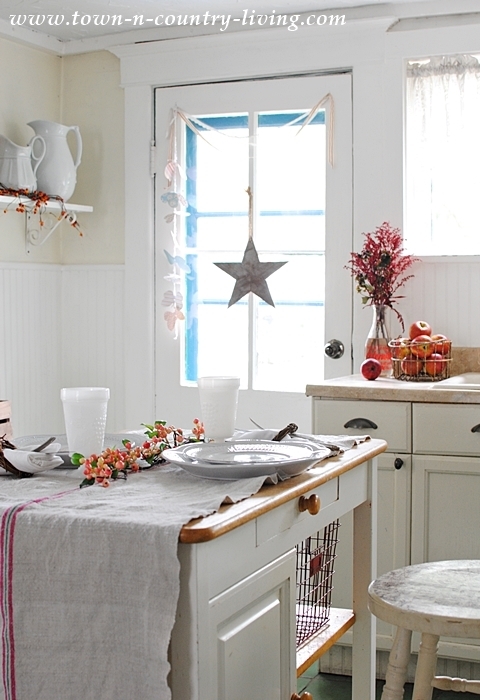 While organizing some cabinets and getting rid of stuff I don’t need, I decided my farmhouse kitchen needed a little fall color. I recruited hubby to help because a) I wanted his company and b) he’s taller than me and if I had his help it meant I didn’t have to haul out the step ladder. His job was to wind the bittersweet around the white ironstone and I think he did a pretty decent job. I only had to do a little bit of tweaking to his handiwork. I was careful to explain to him why I was changing what I was changing, so that come Christmastime, he can help me again with less assistance (insert smiley face here). 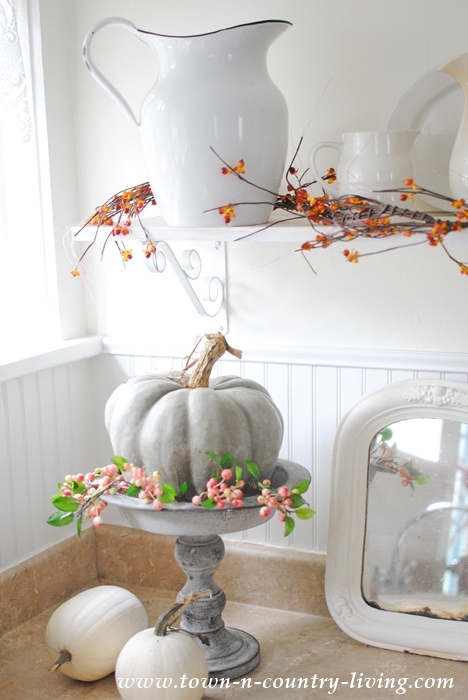 My job was to create a few fall vignettes; nothing too heavy-handed. 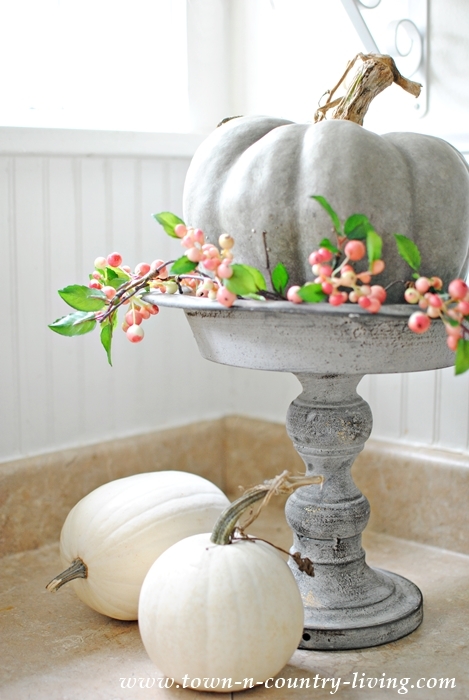 Just simple fall decorating with gray and white pumpkins. 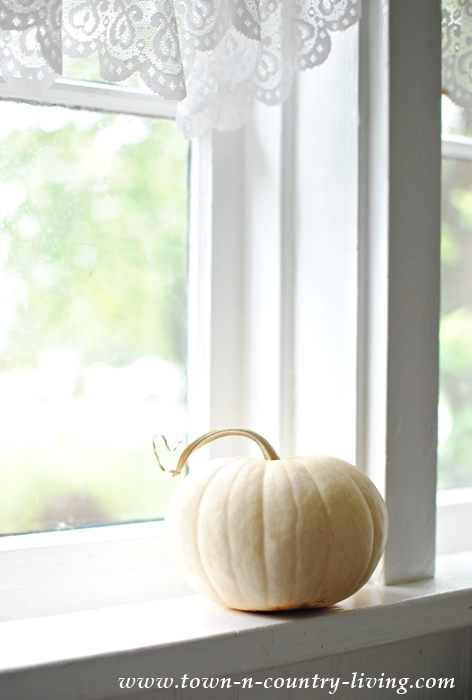 There’s something so beautifully simple about white pumpkins. 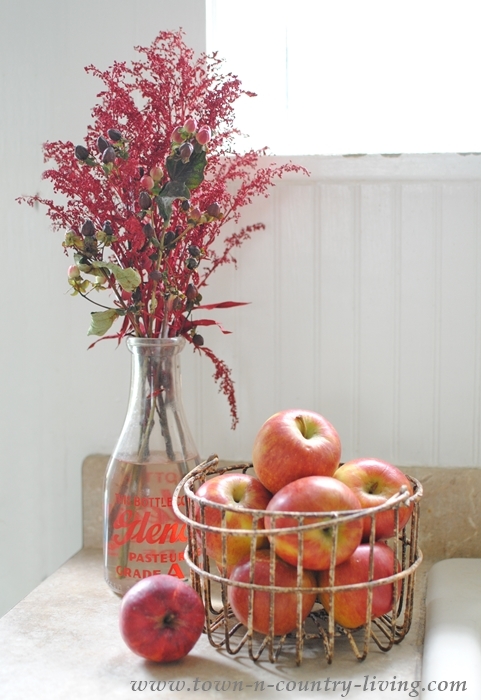 Apples are in season here in Illinois; we have a u-pick apple orchard just 5 minutes from our house. 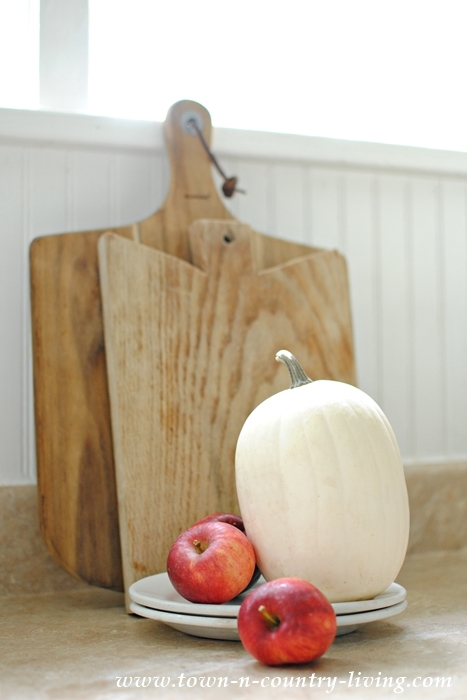 I love tasting all the different varieties, but your basic Gala apple is still my favorite for snacking. 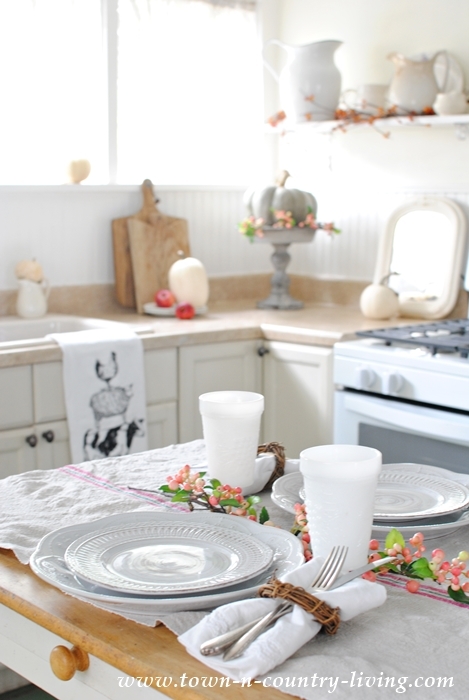 Since hubby helped me decorate, I thought I’d set a little fall dinner arrangement at the kitchen island so we could dine and enjoy our simple fall decorating. 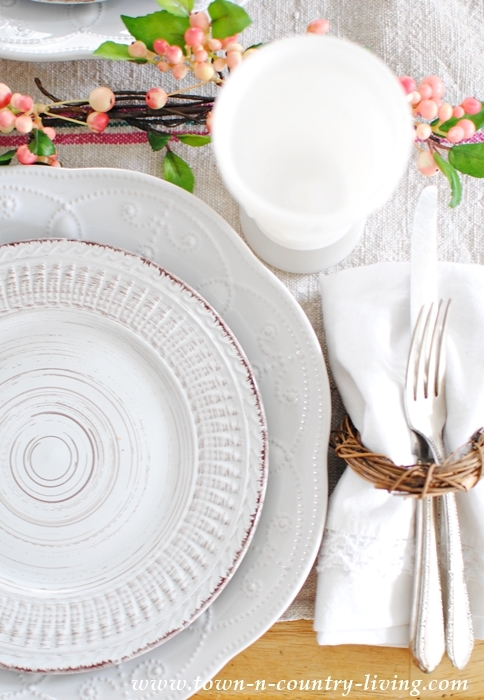 I found some pretty white dishes the other day that were really inexpensive. Another new addition is the white range. Ours finally gave out after 16 years. 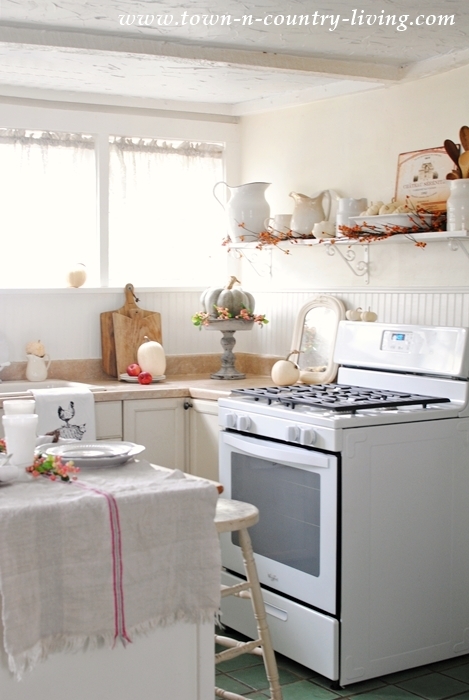 I know most people want stainless steel appliances, but I think white looks better in our farmhouse kitchen. 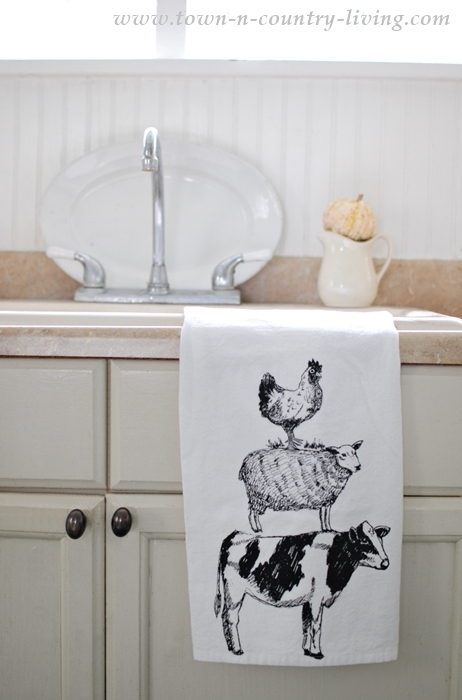 I also found this fun kitchen towel with farmhouse animals from Target. 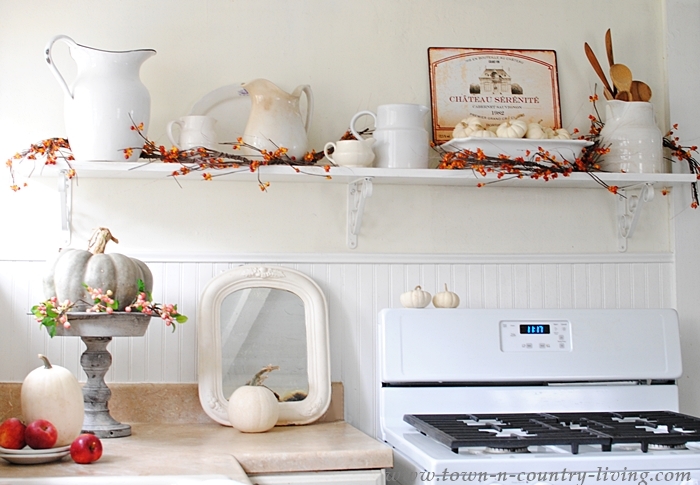 My farmhouse kitchen is ready for fall. 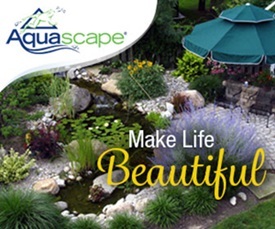 Now it’s time to head outdoors and get the garden beds ready for their long slumber. 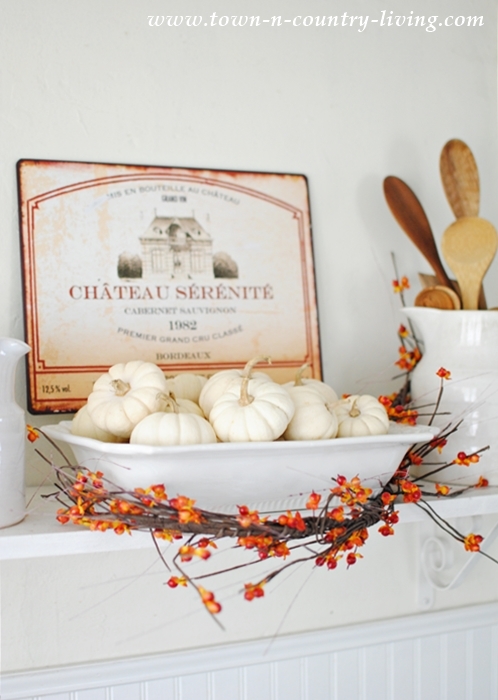 What fall decorations do you use in your home this time of year? It’s all so pretty. I love your kitchen, it always looks amazing. Love the bittersweet with white! I haven’t seen any baby boos up here in Rockford ???? 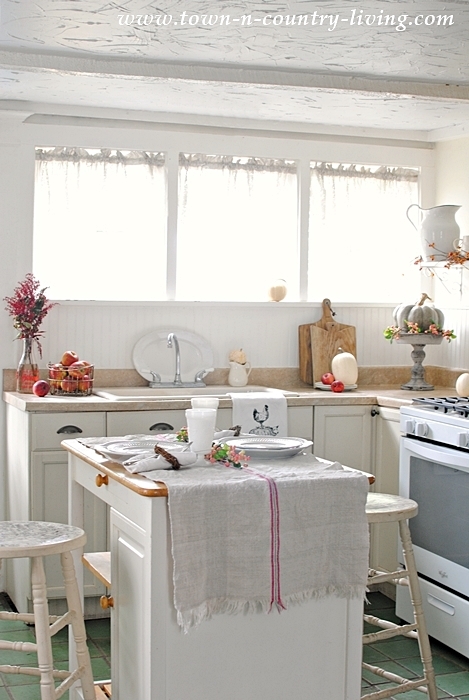 your kitchen always looks so inviting. And knowing how you cook, it probably smells inviting too. It’s beautiful! But then everything you do always is. Like you, I prefer the white kitchen appliances. I think the stainless steel is just too modern looking. 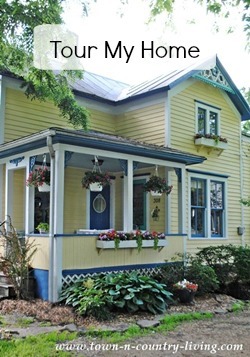 Your home is always so inspiring no matter what the season. 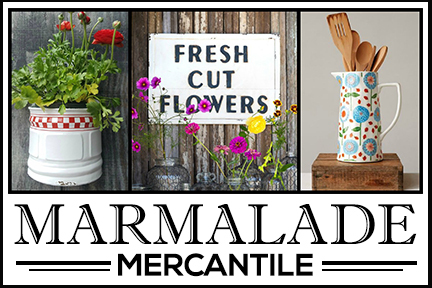 Love your style throughout your charming home! It all looks very festive and fall. I wish my stove were white,i don’t think it shows dirt like this stainless/black one i have. 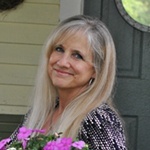 It is wonderful to have help in all we do.Have a great evening. Love yourvignettes they are quiet beautiful,I live in Europe but this year I made a vignette for myself,used what I had.Beautiful bowl rust colour,an art picture I had,of course pine cones and shells. So pretty. I love it all.